UPDATE: Oops, I made a mistake guys in the video, USE CORRECT DASH CABLE for DASH CHARGE! Here’s an updated video showing you my error. 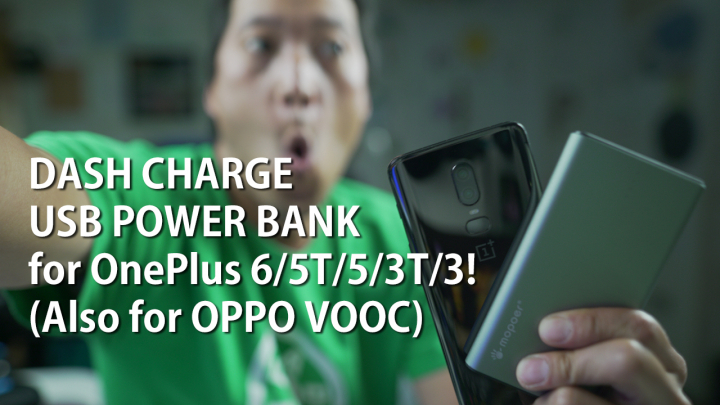 This will come in super-handy for those of you who travel often and be able to take full advantage of DASH or VOOC charging on the go. Now, this is the ONLY USB Power Bank I have been able to find on Amazon so far but if you find any other good ones, please share them below. Next story How to Run Fortnite on ANY Rooted Android! Previous story How to Get Free Inflight/Hotel WiFi for Family & Friends!